Next year I’ll celebrate a milestone birthday. On second thought, “celebrate” may not be the appropriate word for the occasion. Nevertheless, I will soon pass the half century checkpoint of my journey here on this earth. 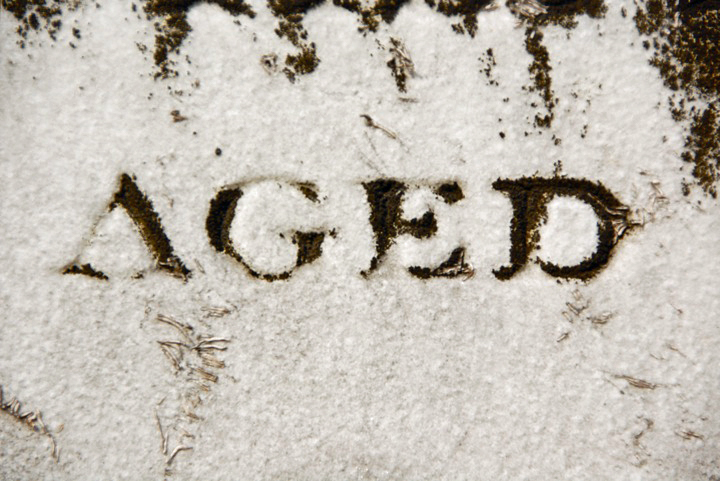 Image: “Aged,” courtesy of Tony Hall on Flickr. Licensed under Creative Commons. More than ever, I’m painfully aware of the truth in this saying: “Gettin’ old ain’t for wimps.” Yet, in some ways, I’m thankful for the aging process. As I get older, my memory is not as good as it used to be. If someone hurts or offends me, there’s a strong chance I’ll forget all about it by the end of the day. In truth, I’ve never been one to hang on to grudges. This is due in part to my Italian heritage. In my family, when we get angry, we get loud. Sometimes, when we get upset, we blow up. And as we express our emotions, we also gesticulate vigorously. Then, just as fast, we get over it. No matter what, we love each other. We are family—La Famiglia! We forgive one another. We forget. I’m glad I don’t grapple too much with bitterness. Trust me, I have plenty of other shortcomings to contend with on my pilgrimage. But I’m truly thankful that I’m not prone to holding grudges, and now I have the added advantage of age to help me forget. Growing old has helped me become more forgiving through the gift of forgetfulness. Recently, as I was giving thanks to God for this gift, he reminded me of his compassionate and gracious nature. While my heavenly Father is much older than me, and he, too, is forgetful, he is not losing his memory in the same way that I am. Oh, how our Father loves us! While my gift of forgetfulness now aids me in avoiding bitterness, I don’t take any credit for it. Only the Holy Spirit working by his grace can develop godly character in me. I long to have more of God’s loving nature so that I can overlook offenses and love others unconditionally. Don’t you? Dear Lord, may I receive your grace more and more in my life so that no root of bitterness grows up to corrupt me. Help me forget the wrongs I suffer, even if it means a few more gray hairs. I also didn’t think that forgetfulness could be a gift. How assuring, especially when it’s about forgetting the wrong others did to you. This is liberating! Thank you! Taking on an offense is the bait Satan uses to lure us away from unity- which makes us stronger and blesses us immensely! We’re all fallen and have hurt others by sinning against them. Let’s receive more grace so we can extend it to others. Great article Mary! Ageing as you said is a gift ..Thanks to God..
Amen! And thanks for saying hello. I’m glad you stumbled in here, too! Encouraging words from readers is always such a treat. Thanks so much. I never before figured out that forgetfulness was a gift. I need it because for me, it seems to be one of those arsenals the enemy uses to usurp the energies that are supposed to be spent in the service of the Lord. I’m real edified with what I’m reading. Please keep me updated. Thanks, Fred. Glad you stopped by!